Well isn’t this a royal coincidence! 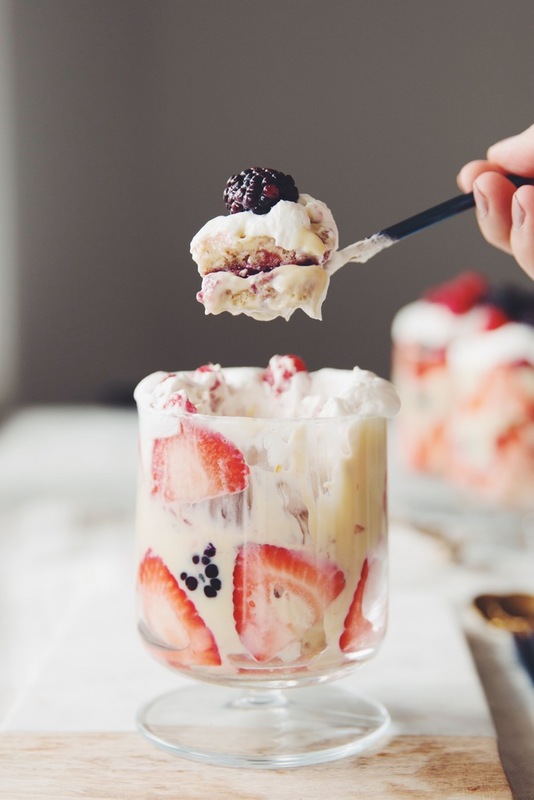 This week the lil’ royal babe entered the world and I just happened to trifle… a perfect English inspired dessert made for the celebration! I’m telling you, that’s some magic. 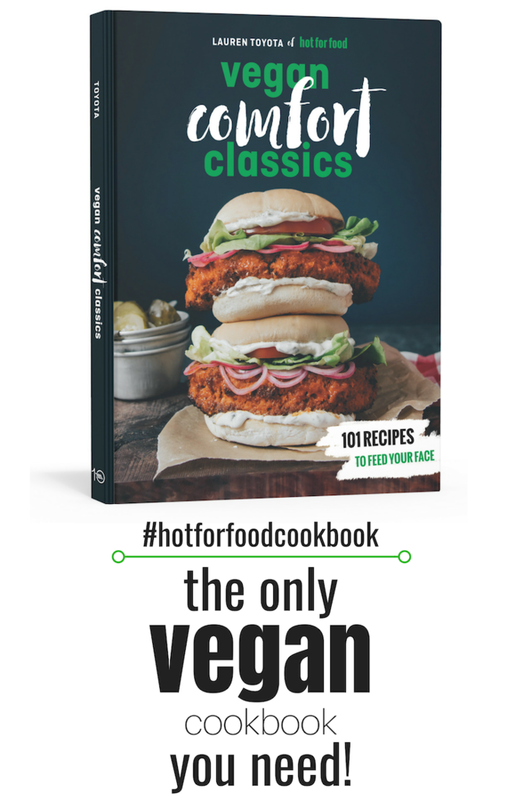 But I actually made this to promote the UK release of my new cookbook Vegan Comfort Classics: 101 Recipes to Feed Your Face on Ebury Books. Get your copy now… it has measurement conversions and everything! This recipe is a variation on the tiramisu trifle that you’ll find in the cookbook. 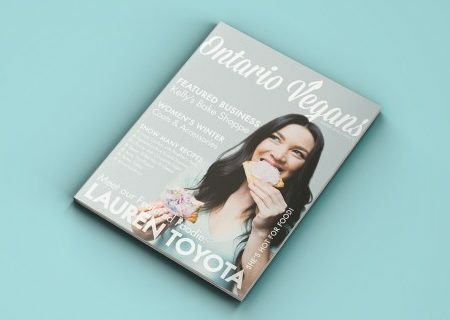 You’ll need to pick up a copy so you can make the vanilla cake recipe for this! Unless you can find vegan friendly lady fingers, which are traditionally used in an English trifle. But this custard, though… it’s creamy and delicious. It’s obviously the best part about this whole layered treat. Watch the video to see how this vegan english trifle with custard all comes together! Want to celebrate something sweet?! 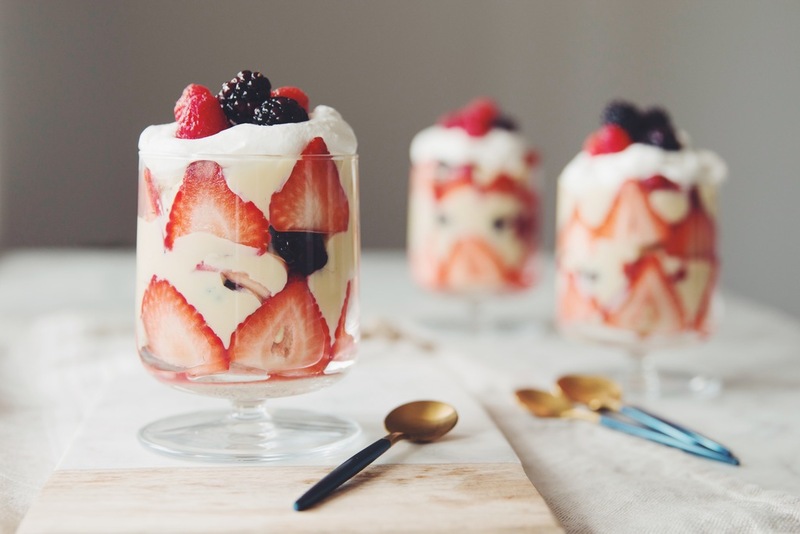 How about making these cute english trifles with layers of creamy vegan vanilla custard, vanilla cake, raspberry jam, berries, and whipped cream! 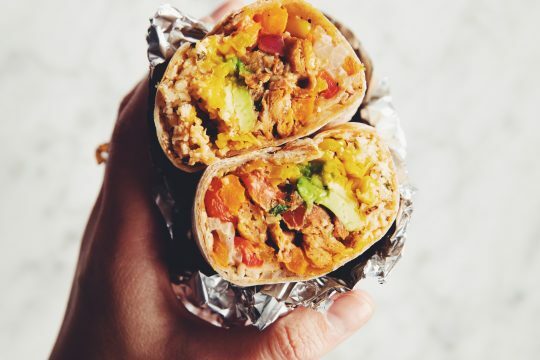 For making individual servings, use something that has straight sides and is 13 oz in volume and ideally 2 3/4-inches in diameter. 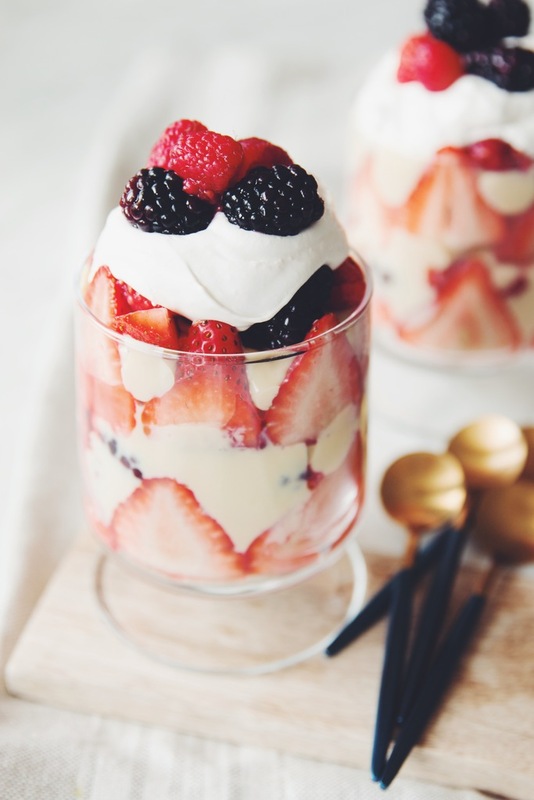 You can also make 1 large regular trifle in a traditional trifle dish that is 7 to 8 inches in diameter. The cake should be made in advance. To strain the excess water from the tofu, I find it best to use a nut milk bag. Then combine all the ingredients for the custard in a blender and combine until very smooth. Pour the mixture into a saucepan and heat over medium while whisking constantly as it starts to thicken and bubble. It will be about 6 minutes to get it to the right thickness and looking kind of gelatinous. Remove the sauce pan from the heat and into an ice bath. This is just a larger bowl with cold water and ice cubes. Place the bottom of the saucepan into the cold ice water and whisk the custard as it cools in the saucepan. This will prevent it from clumping. Set this aside until you assemble the trifles. Combine the mixed berries with sugar, lemon juice and zest and toss to coat well. Set aside 15 minutes to soften and macerate. Add in the excess sliced strawberries as well. My trifle dishes were about 2 3/4-inches in diameter, so I cut rounds from the cake using a 2 1/2-inch cookie cutter, otherwise cut rounds to whatever diameter you need to fit into the dishes that you have. Cut out 4 rounds from each cake layer. Slice each round in half lengthwise and spread a spoonful of jam on the inside of one round and top with another round creating a small layered cake. Place a cake round in the base of your dishes. Then place sliced strawberries around the diameter of the cake. Add a generous layer of custard, pushing it out to the sides slightly. Then top with a handful of mixed berries that have now become quite juicy. Top with another cake round with jam layered between. Repeat the same thing with the slices of strawberries. Then add more custard and top with whipped cream and a few berries on top as garnish. These can be made a couple of hours in advance and then refrigerated or eaten immediately!